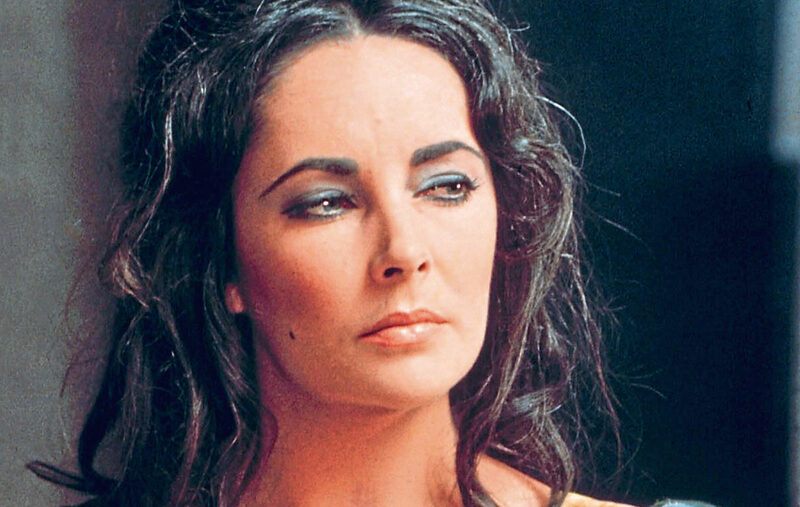 ELIZABETH TAYLOR must have wondered how she could possibly follow Cleopatra, but taking a long break turned out to be the answer. Proclaimed The Most Talked-About Movie Ever Made, Cleopatra was the ultimate “hard act to follow”. The fact that Taylor had almost died during filming, developing near-fatal pneumonia and enduring a tracheotomy along the way, merely added to the feeling that she had just reached the highest and lowest points of her life at the same time. 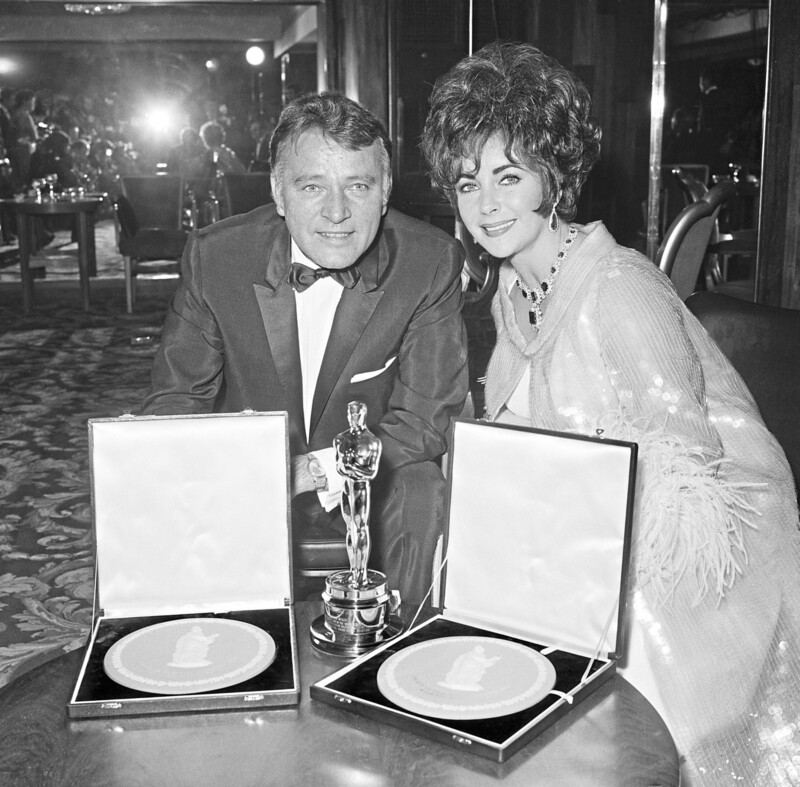 Making the movie had almost taken Fox to bankruptcy, too, and they sued Taylor and Richard Burton for their outrageous, scandalous behaviour, saying it had added to the troubles. Some critics even reckoned Liz was overweight and her voice wasn’t right, but the folk who matter, the audience, loved it and saw it in their thousands, around the world. Producers, despite all the hoo-hah about the Taylor-Burton affair, knew that getting them together for more films would be box office magic. They next starred together in The VIPs, Liz playing a famous model intent on leaving her husband for her lover, and Burton playing her estranged millionaire husband. It was another success, mirroring as it did their real lives, and Taylor was such a star now that they even paid her half-a-million bucks to visit London’s landmarks for an American audience, reading from British writers’ works as she went. Having seriously considered leaving the business altogether while still a girl, she now took another two-year break, to the studios’ exasperation. Perhaps she figured, well, if they are all so outraged by our loving each other, we’ll just go away and do it privately. She spent the 24 months getting divorced, as did Burton, and then marrying each other. For some critics, these films were often mere mirrors of their real lives, adding to their wild and decadent reputations and blurring the lines between reality and cinema. To ordinary folks, though, it was pure dynamite, seeing the most famous supercouple on Earth on screen, fighting, loving, cheating, yelling and screaming and making up – and spend, spend, spending. The Sandpiper, in 1965, was their first after the two-year hiatus, and it was typical. The story about an illicit love between an artist and a married clergyman in California, it scandalised everyone. Thing was, all those scandalised people also paid good money to rush to the nearest cinema and enjoy it. 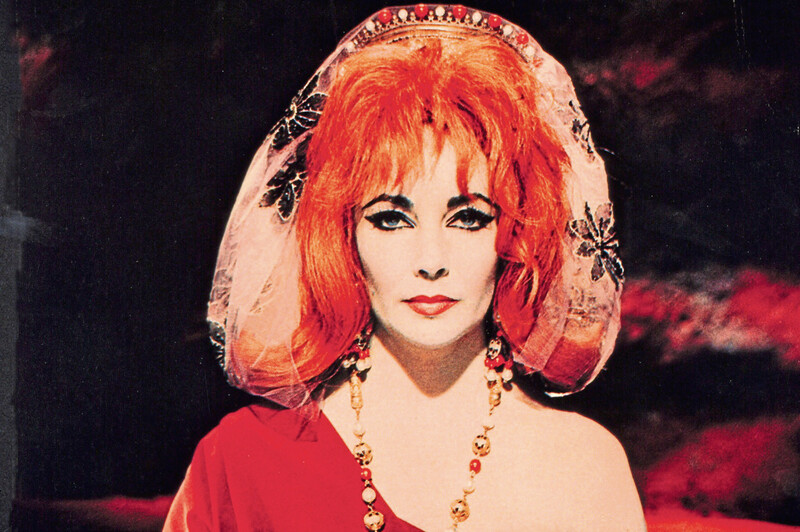 If anyone feared Liz Taylor would lose her acting talents among all this glamour, luxury and notoriety, the 1966 film Who’s Afraid Of Virginia Woolf put them right. Easily the most critically-acclaimed performance of her life, she played Martha to Burton’s George, a middle-aged couple wrestling with a marital crisis. To look the part, she deliberately piled on the pounds, using make-up to look as haggard and exhausted as possible. They weren’t playing themselves this time, unless it was themselves a decade or two later on. One top cinema critic wrote that Liz’s “characterisation is at once sensual, spiteful, cynical, pitiable, loathsome, lustful, and tender” while another reckoned, “she does the best work of her career, sustained and urgent”. It got her a second Academy Award, a BAFTA and various other top awards – and if anyone out there thought they were just a pair of untalented celebs, she more than put them right. There is no doubt where she got the extra acting knowledge – the man she was married to was a serious thesp, and Burton was starting to get Taylor into much heavier, intellectual roles. It was in ’66 that they performed Doctor Faustus in Oxford for a week, the University Dramatic Society getting the benefit – a long, long way from Hollywood and scandalous headlines. Burton even turned it into a film, one the critics hated. Their next project was The Taming Of The Shrew in 1967, and it was more successful. As the only actress who had no experience of doing Shakespeare, Liz must have been nervous (though being married to a Shakespeare heavyweight such as Burton helped), but it worked. A slightly surprising box office success, she then surprised all of us by doing a movie without Burton. Reflections In A Golden Eye, her first without him since Cleopatra, was doomed. A heart attack killed Montgomery Clift before filming even started, and he was replaced by Marlon Brando. It was, alas, a failure with both the public and the critics, as was her film with Burton, Graham Greene’s The Comedians, later in the year. With the Seventies looming, as often happens in showbiz, there was a new breed of younger, slimmer, even more outrageous kids coming up. 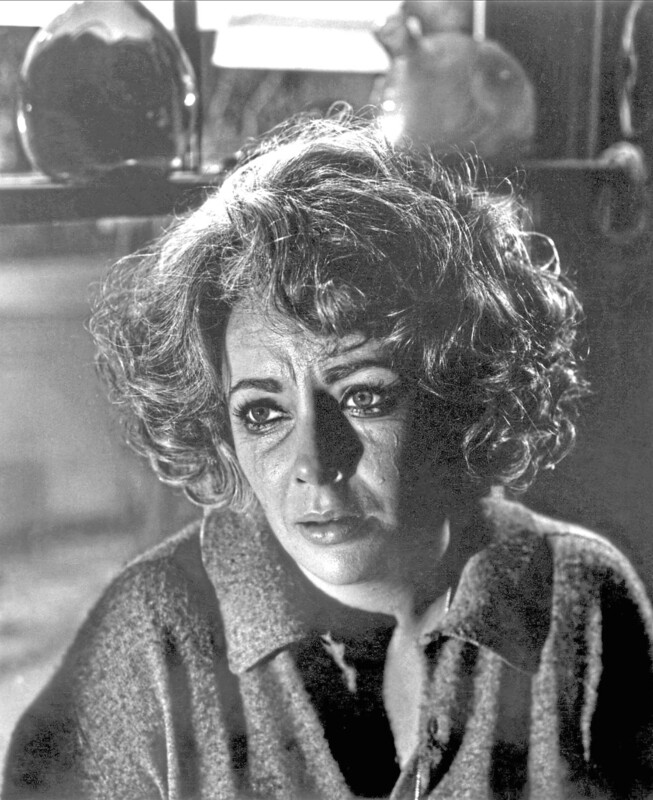 Liz had gained weight, as she was prone to do when in unhappy marriages or when bored with her roles, and she was also approaching middle age. Jane Fonda, Julie Christie, Raquel Welch, Faye Dunaway, Barbra Streisand and Meryl Streep began to knock the older stars off their perch, too. And, in those days even more than now, the chances of a middle-aged actress getting a juicy, high-profile lead role were slight, with the blokes – even the older ones – getting the best jobs. Following a few flops at the end of the Sixties, and a bad start to the new decade with The Only Game In Town, she enjoyed a return to form in ’72. Zee And Co, which saw her in a troubled marriage alongside co-star Michael Caine, did well and won her the David di Donatello for Best Foreign Actress. Under Milk Wood, the classic Dylan Thomas radio drama, was adapted for her and Burton – though she had a small role, they gave her star billing to get attention, and it did well, too. The third that year was Hammersmith Is Out, a parody of Faust by Peter Ustinov, with Liz as a blonde waitress. With Burton involved, too, she got great reviews for her “vulgar, ratty charm”. 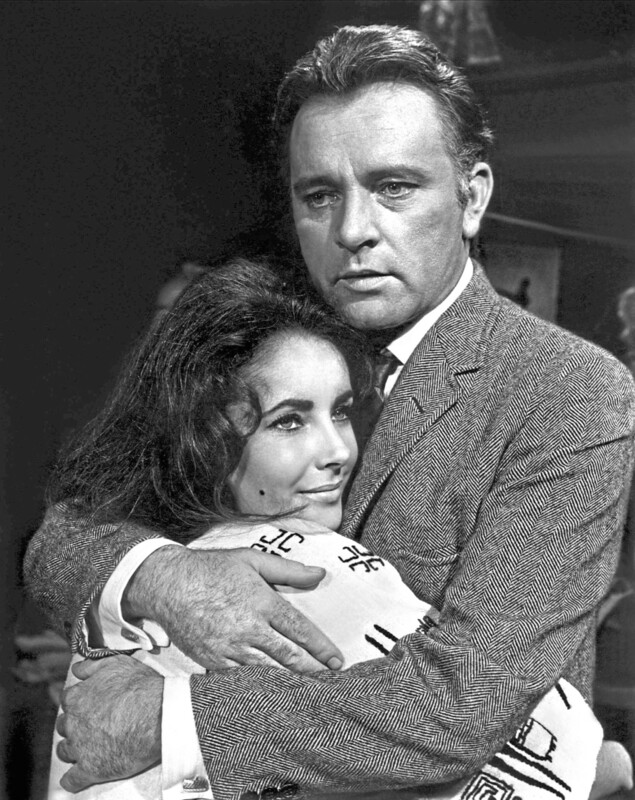 The aptly-named Divorce His, Divorce Hers, a TV film in 1973, would be her final movie with Richard Burton. They would divorce the year after. And then, bizarrely, marry each other again. It was on October 10, 1975, that they remarried in Botswana, although this second marriage wouldn’t last even a whole year. She would, however, make an astonishing comment, a statement that would surely have made her subsequent husbands swallow hard? Ouch. And it says so much about why they’d been so crazy about each other. After this period, in the mid-1970s, Liz would step from the career path and focus on supporting sixth husband John Warner. A Republican politician, he had big career dreams of his own, and for a while Liz enjoyed playing the powerful man’s wife, until it drove her to distraction, sitting around twiddling her thumbs while he was trying to change the world. Not that she had made her last film, but she would dedicate her time and energy to pursuits outside cinema in years to come. First, however, she starred in the likes of 1980’s The Mirror Crack’d, as did everyone from Kim Novak to Tony Curtis and Angela Lansbury. An Agatha Christie adaptation, it did very well, and Liz also tried her hand at serious stage work, selling out a six-month Broadway run with The Little Foxes. She would make cameo appearances on TV series in the Eighties, but she become very active in supporting the fight against HIV and AIDS in the following decade. Liz loved to hang out with Michael Jackson, David Bowie and all sorts of celebrity pals, and for the first half of the Nineties was with last husband Larry Fortensky. In fact, she married Larry, a construction worker, at Jackson’s Neverland ranch, proceedings interrupted when a photographer sneaked in via parachute. They had met in unusual circumstances. He was at the Betty Ford Clinic after being charged with drink driving and cannabis possession, when he bumped into and fell for Liz. Twenty years her junior – she was nearly 60 by now – Larry seemed to have what she wanted, at least for a while. After their divorce, Liz would remain unmarried for the rest of her life. She passed away, of congestive heart failure, on March 23 2011, at the age of 79, and is buried at Forest Lawn Memorial Park, Glendale, California. Typically Liz, she had secretly requested that the ceremony run 15 minutes late.